Buy a whole year and get your first quarter for half the price. 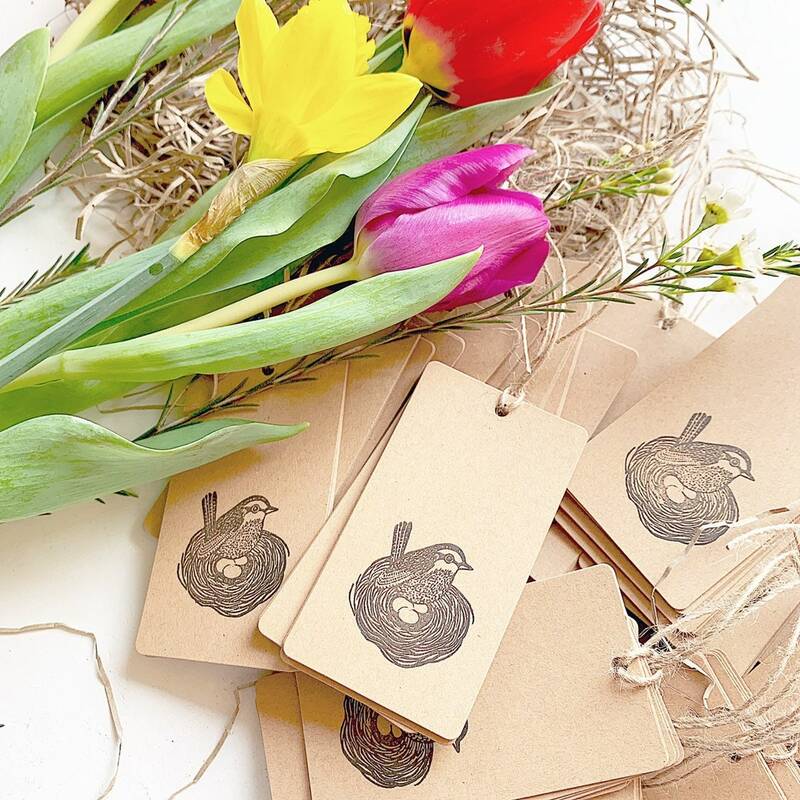 This is the most luxurious of subscription boxes that you could give or treat yourself with. 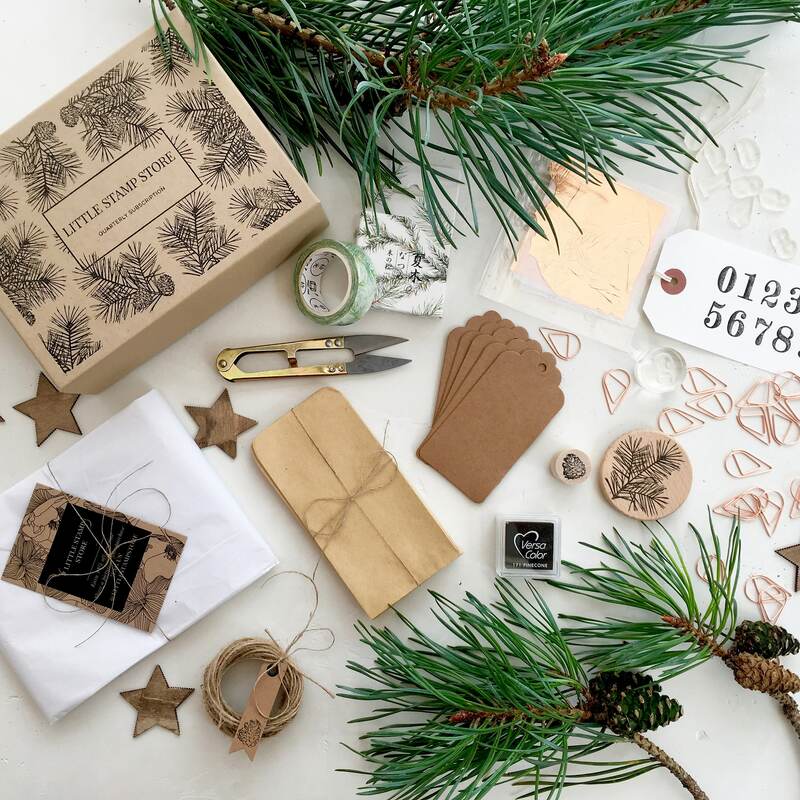 It contains seasonal designed rubber stamps and craft projects that inspire the contents of the box. 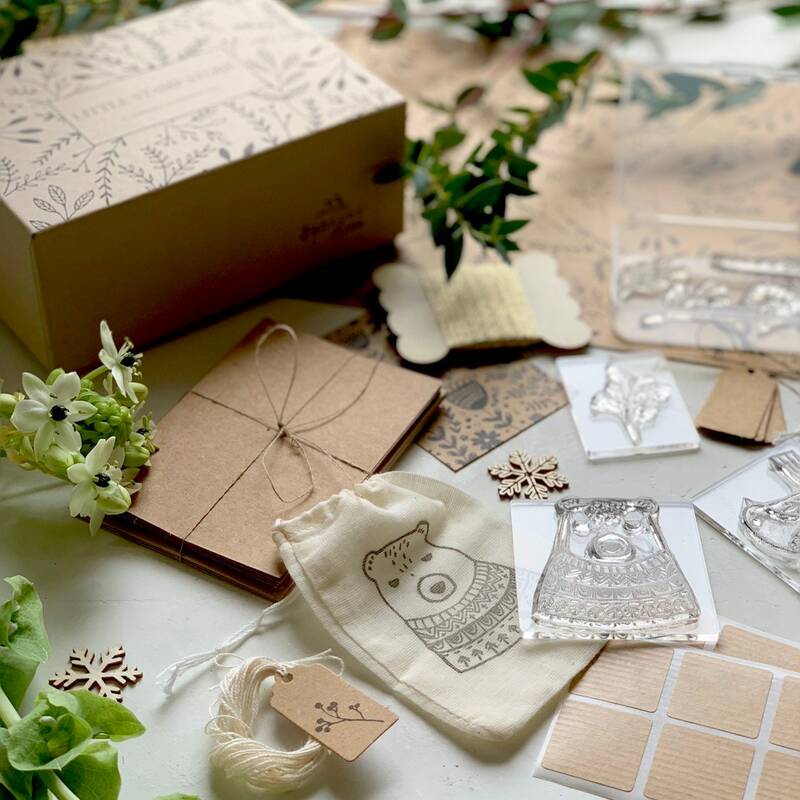 Each item has been beautifully designed and hand-finished with lovely finishing touches. 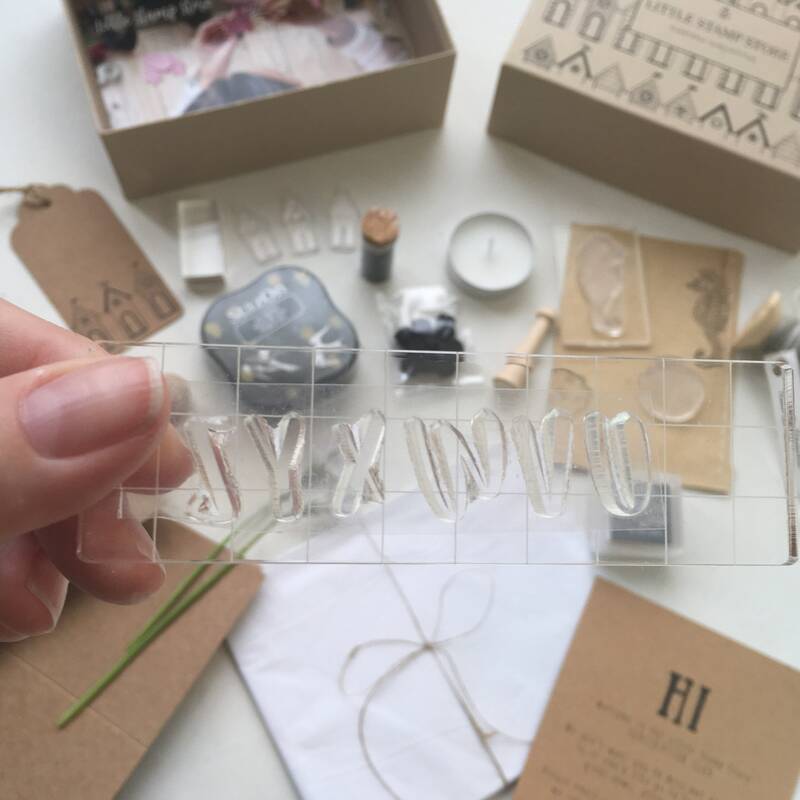 If you're giving a subscription box in person, they'll find a welcome card in the box letting them know how to get in touch with us with their address for their next boxes. We can send it overseas for you too, but we'll have to set up a listing for international shipping via contact seller to cover future postage. 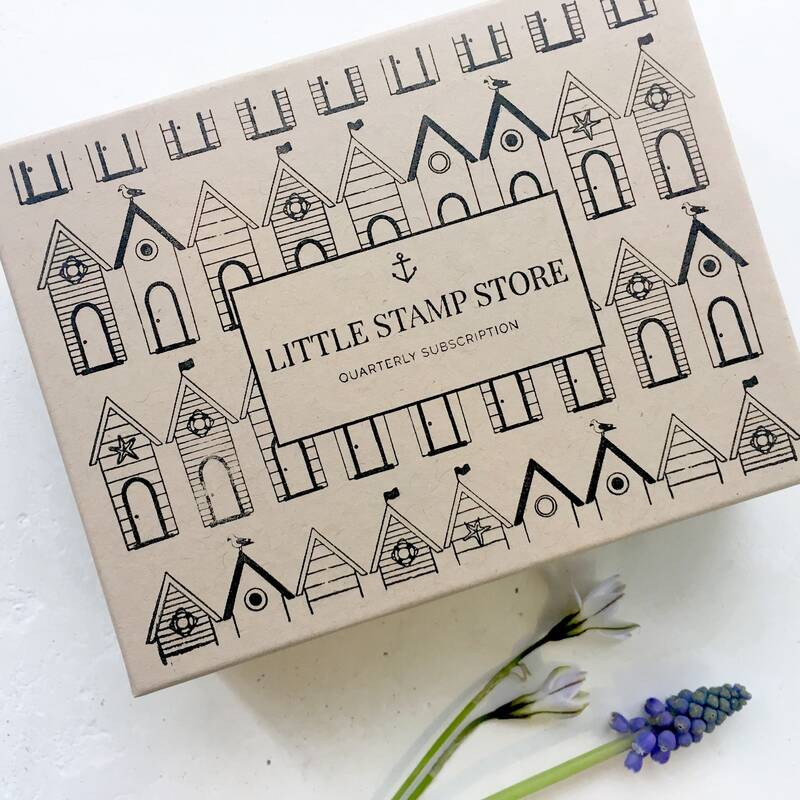 Please personalise this gift subscription box by adding a personal message in the 'Add a note to LittleStampStore' box when purchasing. The equipment supplied will allow you to join in with the shared video projects. There are projects that go with each box to inspire your creativity. Each item has been lovingly put together so each item is very special and made with very beautiful finishing touches. 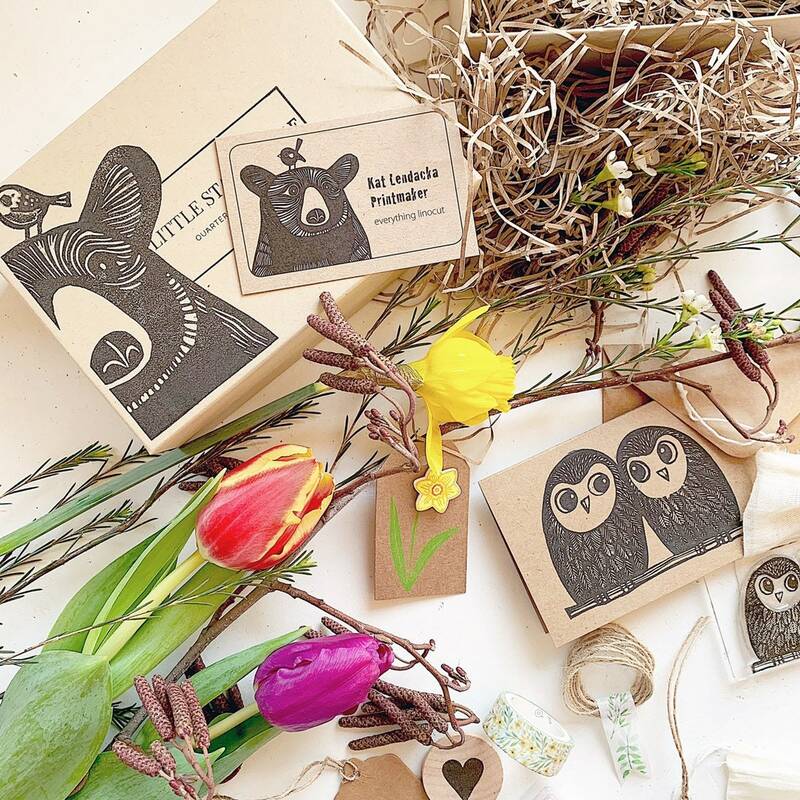 The hand drawn designs have been turned into hand printed stationery and stamps. 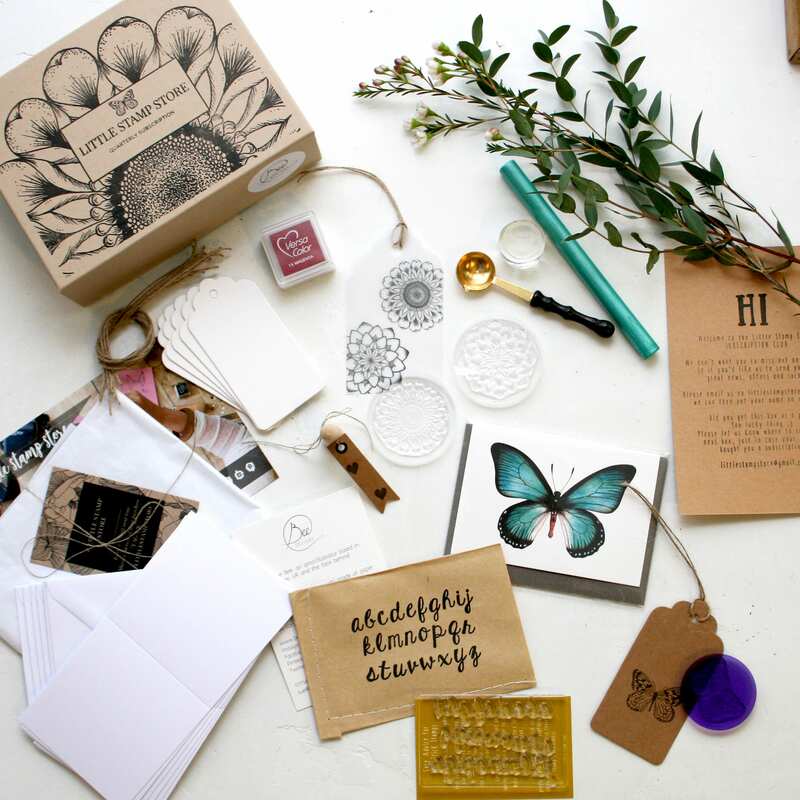 We know you'll love this well constructed, well thought out subscription box. Please use the 12 quality items to play with and create your own projects. If you would like to add extra ink to your subscription box please follow this link. 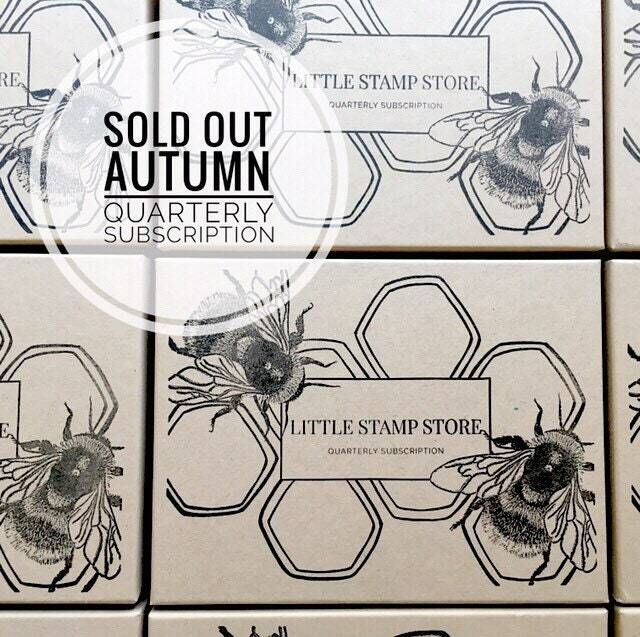 Every quarterly box's theme is designed by Fran Sherbourne at the Little Stamp Store or a featured artist. They're designed to take you seemlessly through each season. They will cover all kinds of craft projects allowing you to create something for everyone in your life over a whole year. And don't worry we've taken care of everything: Birthdays, Christmas, Halloween, Mothers Day, etc. throughout the yearly subscription. What's to come in the next box? 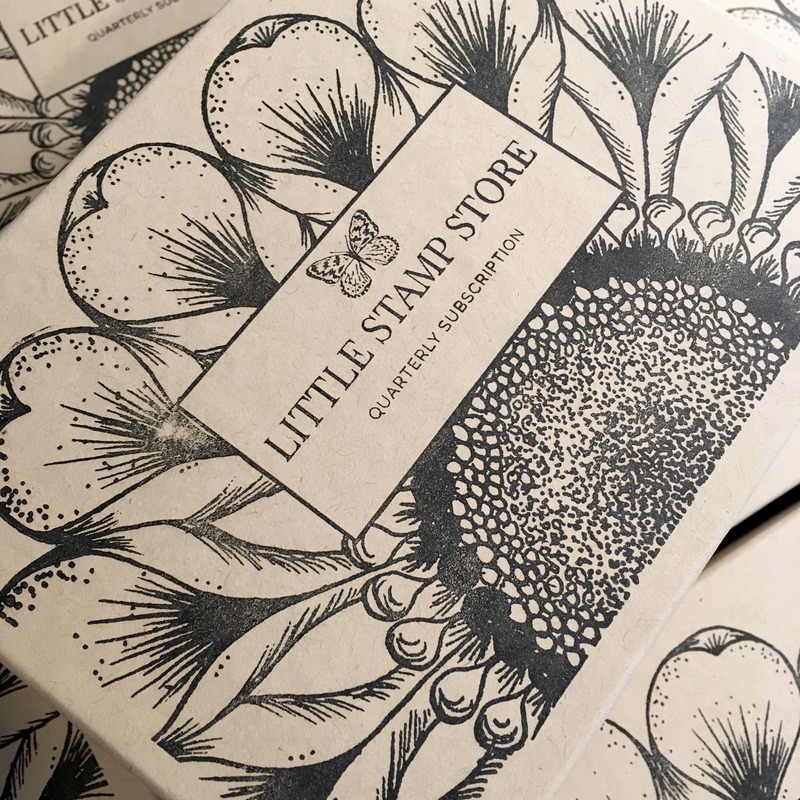 Please follow Little Stamp Store on Instagram to keep up to date with sneak peaks. The gift box is made from a thick quality kraft cardboard. The pictures give you an idea of what you can expect to get from your monthly subscription boxes. The 12 items also contain your basic gift wrap stationery and an ink pad to match the projects. This subscription box is approx. 15cm x 11cm by 5cm high. Very nice items. Thanks a lot. Envío rapido. Preciosa presentación y productos increibles.